CRK, in collaboration with Brenau University and the University of North Georgia, is thrilled to bring the Wild and Scenic® Film Festival to Gainesville GA on Saturday, May 30, 2015. Hosted from CRK Headwaters Office, the Wild & Scenic® Film Festival inspires people and unites communities to conserve and protect our natural resources. Join us to witness environmental and adventure films that illustrate the Earth’s beauty, the challenges facing our planet and the work communities are doing to protect the environment. Through these films, Wild & Scenic will inform you about the state of the world and inspire you to take action (scroll down to read more about the films). Located just off the Gainesville square, the Brenau Downtown Center offers a 300 seat theater ideally suited for this event. Come early or stay late and take advantage of the dining and shopping options provided by Gainesville’s downtown restaurants and businesses. Light refreshments will be served before the screening and during intermission. No food or drink is allowed inside the theater.Other local, regional, and statewide environmental groups will also be on hand with information about their programs and what you can do to become involved. Door prizes and raffle items will also be a part of the event. Come prepared for an evening of fun and inspiration. CRK is offering a special membership incentive with ticket purchase to this event. Please follow the registration link below to take advantage of this opportunity. Shop AmazonSmile and support the Lake Lanier Assocaition! Shop at AmazonSmile and Amazon will donate a portion of the sale to the Lake Lanier Association! 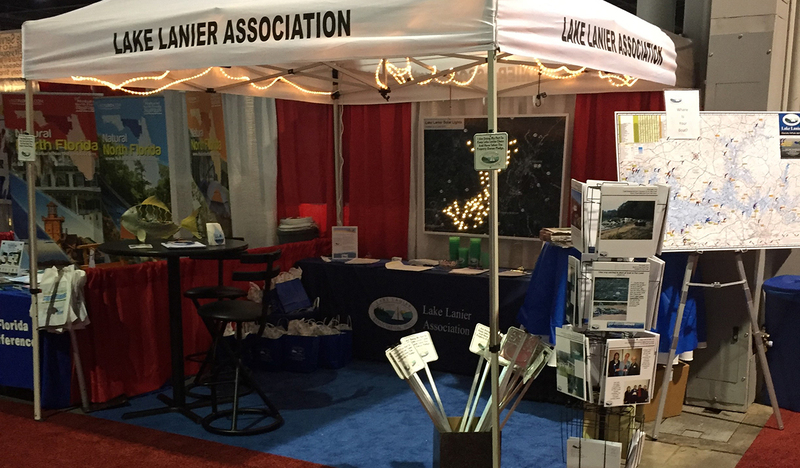 Use the below link to directly access the Lake Lanier Association support program from AmazonSmile! For our Forsyth County members that will be voting in the November 2014 election, as well as residents of other counties that travel in or around Forsyth County, below is the link for the information sheet for the upcoming Transportation Bond. We thought our members would be interested in seeing the different projects on the list for funding. There are several projects in close proximity to Lake Lanier. We have a location request for a film production with lake front property preferred. If you are interested in this opportunity, please send your information to stacey@lakelaniercvb.com. See below for more details. Scouts would like to view potential sites in a week to ten days. Location Needed: House for main series location. Unfurnished. Location Budget: $55K for the house rental. Additional funds available for challenge locations on open land and water. about the rates and availability of the property. The publishers of the Gainesville Times and other newspapers in our community are embarking on a new publication related to Lake Lanier. The new Lake Destination Lanier magazine will be a sister publication to their already popular HOME Living in North Georgia magazine. Like HOME, Lake Destination Lanier will feature a variety of articles on lake living, social events, recreation and leisure as well as community contributors from those who keep Lake Lanier thriving. As a benefit of being a member of the Lake Lanier Association, we have arranged for our members to receive a hard copy (not electronic) version of the magazine mailed directly at no cost. There will be a calendar of events for both the lake area and surrounding counties. If you have story ideas or pictures from around the lake for the Around Town section of the magazine, you are welcome to submit them to: mboaen@gainesvilletimes.com. There is no fee for receiving this magazine, and your address will not be shared with any other parties for any other purpose than mailing of this publication. If you prefer not to receive this magazine, you may opt out by sending an email to either the Lake Lanier Association or the editor of the Lake Destination Lanier magazine requesting to opt out. We are excited about this unique opportunity for our members and look forward to seeing many of you among the pages of the new magazine! The Lake Lanier Association would like to pass along an opportunity that some of our members may be interested in pursuing. 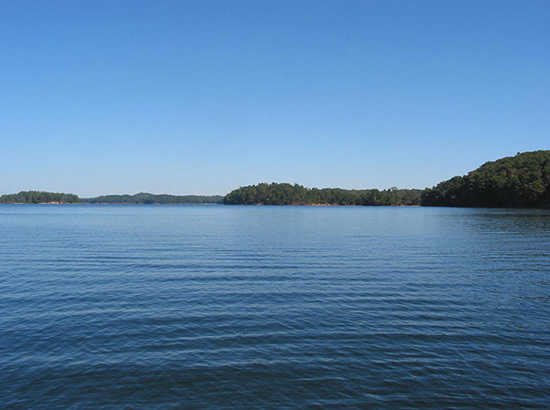 The US Army Corps of Engineers has an opportunity to live at Lake Lanier for “free”. They are looking for folks who would like to serve as a volunteer campground host at Bolding Mill Campground at Lake Lanier for 3 to 6+ months. In exchange for 20 hours of volunteer service a week, individuals could stay at this beautiful campground for free. The volunteer campground sites in Bolding Mill have full hook-ups for large motor homes (50 amp service, water, sewer, etc.) The campground is located close to many amenities in the North Georgia area. The Corps will be interviewing potential hosts over the next couple of weeks and will be making their selections shortly thereafter. If you are interested, contact the Buford Dam Project office at 770-945-9531 for more details about how to apply.